Happy New Year (I know, I'm a little late)! I always get caught up in the urge to better myself and organize my life every January. I'm working out every day (not such a new thing) and doing another round of Whole30 after great results last October. 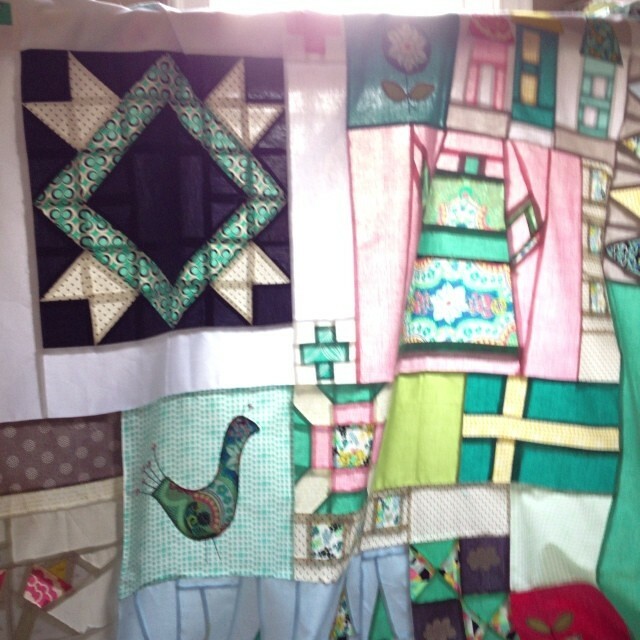 Now I just need to get these quilty WIP's in order! I thought that the Finish Along 2016 might be just the thing to help me stay on track. I narrowed it down to a mosaic of 8 items in various stages of completion and then realized I forgot three biggies! It's like they come back to taunt/haunt you! So 11 projects - roughly one a month, totally doable, right? From the top I have the Meadow Quilt from the Lizzy House class I took in Knoxville, TN this past fall. Next are my beautiful paper pieced envelopes (pattern from Ayumi's book Patchwork, Please) made by me and members of the Sealed With a Kiss swap group. Third in the top row is just something I made for fun that I want to turn into a mini and maybe make a tutorial for. Middle row is my Modern Medallion from Handstitched Camp over at Stitched in Color. 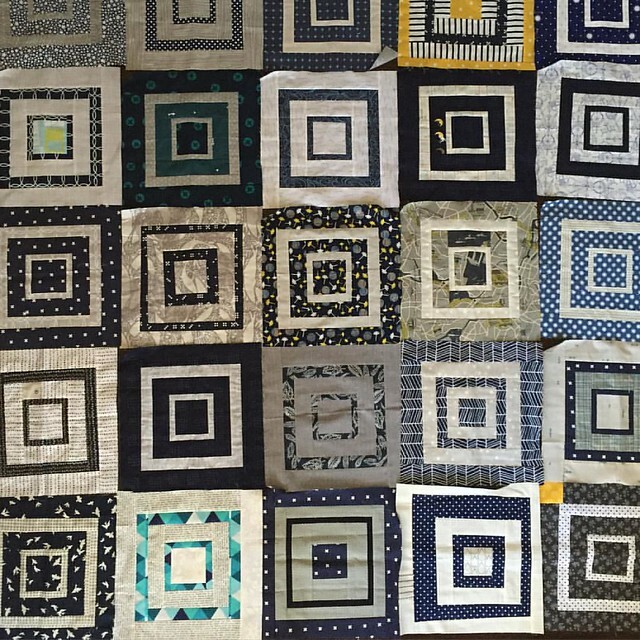 Then my Very Quilty Christmas quilt-along that Lori Holt did via Instagram in 2014. The third is a big gingham/buffalo check quilt I want to make for my youngest son's bed. It's just so so so boring to make. 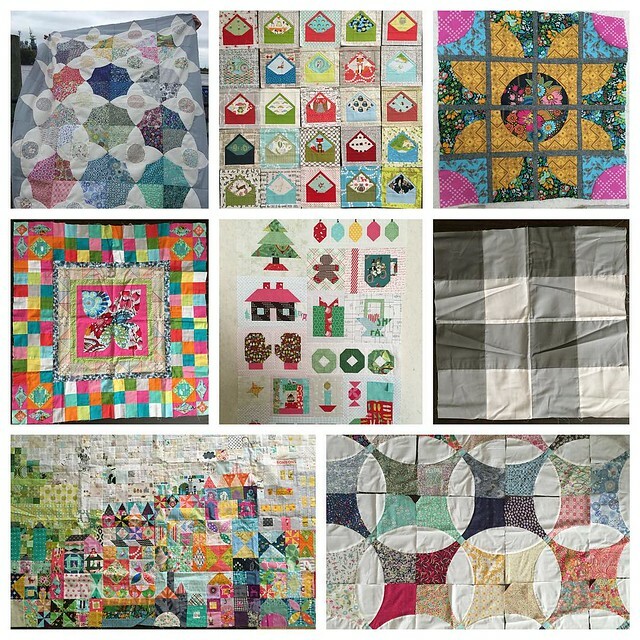 Bottom row is the Small World QAL from Jean Kingwell - I even have some of the dresden plates/rainbows, just need to hand stitch them on and quilt. That final bottom corner is my liberty Flowering Snowball. I fall in and out of love with it. I worry that I used precious, expensive fabric for something that I don't love. I need to just finish it and see for sure! 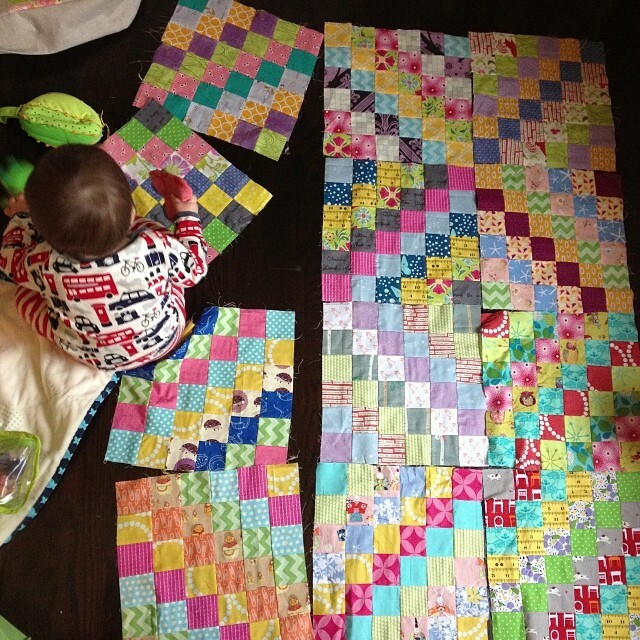 These are all my blocks from Stash Sewciety, destined to be a queen bed quilt for my oldest son. I need to make a bunch more blocks, adding in more aqua/teal as I do. Okay, scrappy trip along! This thing was an old WIP back when Sean was that little (he wears big boy underpants now). It would make a great picnic/ fort quilt, maybe no batting and just back in something substantial? Penny Sampler. I can't believe this still isn't finished. I actually finished the whole top during the class. I wanted to do really fancy FMQ, something unique in each block. I was afraid at first, then did a little bit and was loving it. Now my Bernina is no longer behaving when I FMQ. Threads breaking regardless of brand, weight, needle, tension, ugh. Well, it looks I better go sew! Or maybe just push all these back into the basket under my table and start something new ; ) just kidding! maybe. I love the top right one and would love a tutorial for it! You've got some gorgeous WIPs there!